● ROK offers free starter cigarettes for people looking to try the electronic versions. Follow the instructions online to receive a free disposable electronic cigarette. ● Join the ROK Reward loyalty point program to earn points for purchases. Earn £1 for every 100 points earned, which can later by used for future orders. ● ROK Electronic Cigarettes often offers sales for selected items. Past offers include starter packs at 60% off. Rok is a retailer that offers a wide range of electronic cigarette options. This website provides visitors with the opportunity to purchase a number of products and accessories related to electronic cigarettes. 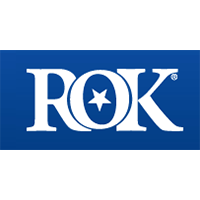 Rok gives you the ability to shop for an assortment of electronic cigarette kits, disposable products, e-cigars, e-cigarette tips, and more. You will also find that this website offers a huge assortment of e-liquid flavors. In addition to this, you will want to note that this website also provides a range of accessories. It is also worth noting that if you spend over a certain amount of money, this retailer will send a free gift as a way of saying thanks. For most up to date offers check out ROK Electronic Cigarettes on Facebook and Twitter or contact ROK Electronic Cigarettes Support for any questions.